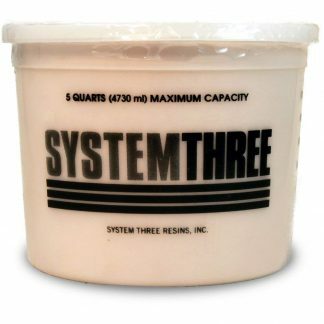 Many a Stevenson’s Projects boats have been built using System Three epoxy! It is a great choice to replace both the Weldwood powdered glue and vinylester fiberglass resin in the plans. Silver Tip Epoxy is a medium-low viscosity, liquid epoxy resin system that has been optimized for coating and reinforcing fabric saturation in wood-composite boatbuilding. It will outperform any other product in these applications. 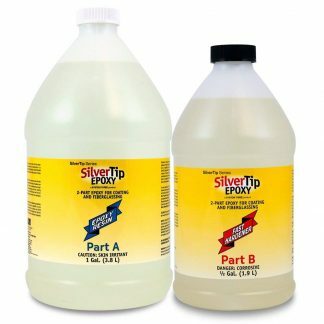 Silver Tip Epoxy is designed for use with fiberglass, Kevlar, Dynel and graphite as well as on bare wood. It has superior wet-out characteristics with little tendency to foam or trap air. 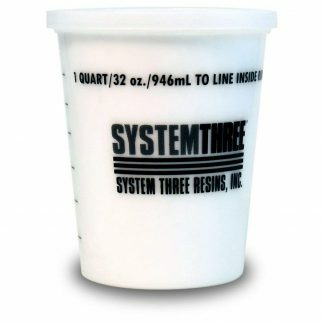 Both the resin and hardener are nearly colorless and are used in an easy 2:1 volumetric ratio. 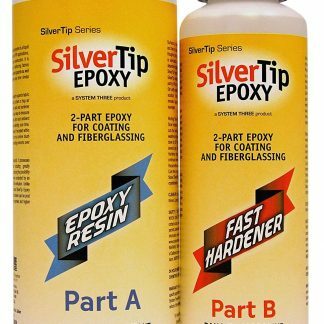 Silver Tip Epoxy cures to a brilliant blush-free film with either the fast or slow hardener eliminating secondary bonding concerns as experienced with other epoxies. The working time is longer than most boat building epoxies without extending cure time. 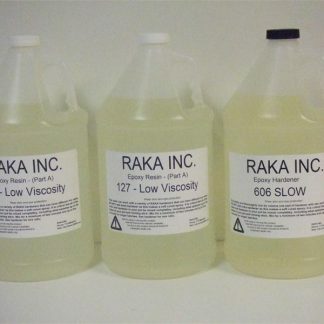 The cured film is tough and resilient with better heat resistance than other epoxies cured at room temperature. 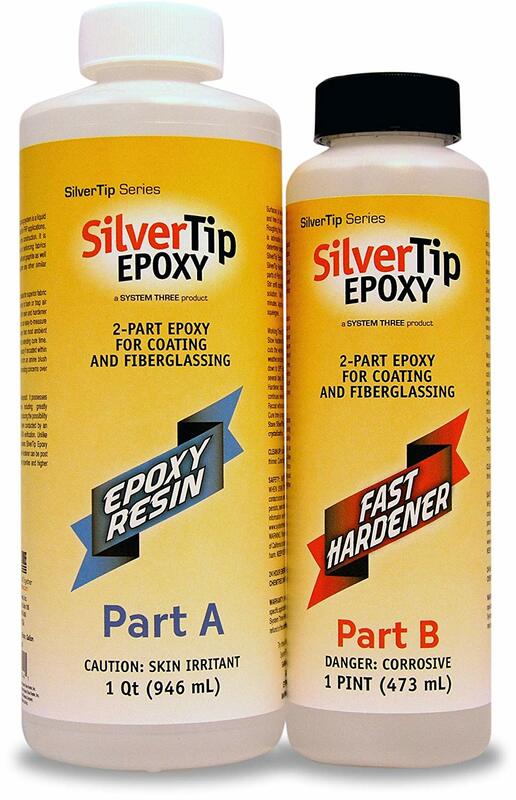 Fillers, wood flour, and bulking agents can be combined with Silver Tip Epoxy.